We’re almost there. 2 more game weeks after this one & then it’s onto the world cup. With free scoring Liverpool hosting championship-bound Stoke you’d be expecting a complete drubbing wouldn’t you? But Stoke’s game plan was one of non-aggressive fouling that disrupted Liverpool’s flow & amazingly kept the game goalless to gibe the Potters a glimmer of survival hope. Burnley’s European aspirations had to be put on hold for another week as they also drew a blank against Brighton while Terry's lot lost out to Everton at home putting them in danger of relegation. 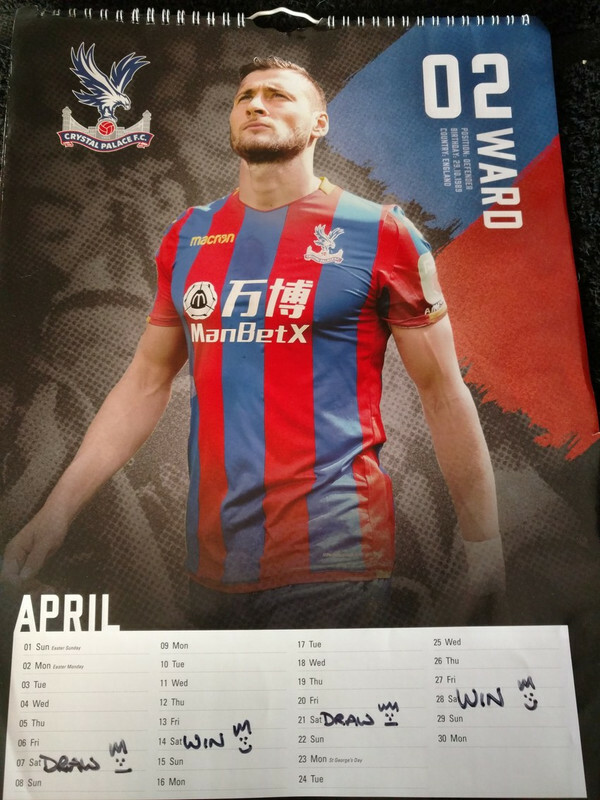 Drinking began early at Chez steve thanks to a 5 goal thrashing of Leicester that earned Palace no less than 4 spots on Garth Crooks’ team of the week & a slightly happier calendar update. Wet Broom, under the guidance of man-mountain, Darren Moore, not only made it 4 unbeaten under the big man’s tenure, but they grabbed an unexpected victory away to Newcastle & Scousehampton overcame Bournemouth to leapfrog Stoke who had switched positions earlier in the day & the late Saturday game featured a 4th minute curler from Fabregas that took all 3 points back to London. With just the 2 games on the Sunday I was able to watch some of the Grand Prix (still not sure how Hamilton won that). But come kick off time at the Tax Payer’s stadium it was Citeh that used the game as their obligatory shooting practice, tearing Wet Spam a new one to the tune of 1-4. At Old Trifle there was an amazing reception for Arsene Wenger & Alex Ferguson presented him with possibly the only trophy he’ll get his hands on this season. The game looked to be heading for a draw thanks to Mick Targaryen’s leveller in the 51st minute, but the flying elbow scored with the back of his head in stoppage time to make sure Wenger’s last trip to the Theatre of Dross ended in defeat. On Monday a scrappy meeting between Spurs & Watford, also one of the better hashtags of the GW, gave Kane another goal in his chase for the golden boot & kept Spurs in contention for a champion’s league spot next season. Watford must surely now be wondering if sacking Silva was a bad move as Gracia’s winless run continues. Mish Mosh remains steadfastly in that Yellow Jersey & the Big Shout Out went to Unreal Madrid on 71 points. The EIB once again took the H2H with 21 points , but with the 2 GWs left & leading on 625 points, the BB&S look on course to close the season on top. Once again, Dead Men Walking are the crown wearers , but only by way of their overall total. 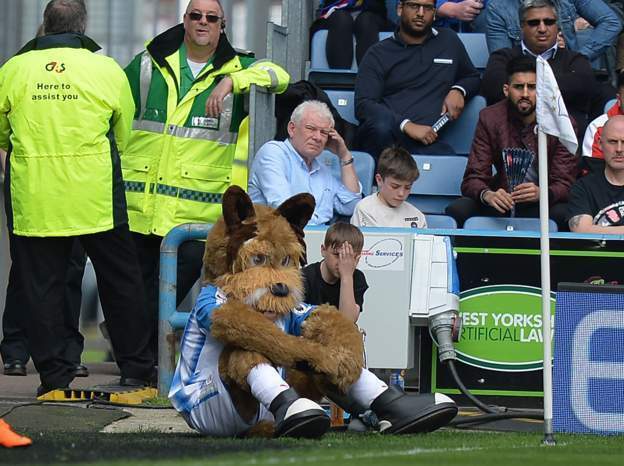 So, after the excitement of Liverpool’s Champion’s League semi final we all need a rest right? Yeah, some chance of that. With GW37 starting Friday it’s time to get your teams sorted out. 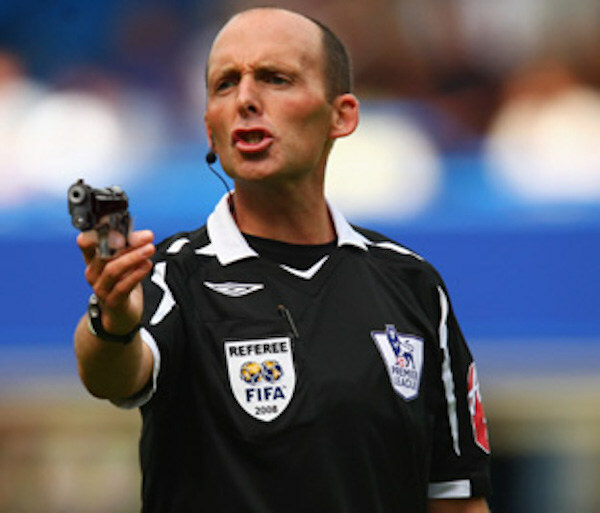 I have been busy consulting with experts over the weekend to construct a companion to the Rooney Scale™ & have developed a draft of The Mike Dean Scale ™. That said, get a wriggle on everyone & welcome to the Stadium of Faith for the penultimate GW. The South Coast scum beat ManUre last night. Palace safe & Stoke relegated. Cheers mate, just on my way back. Simply not good enough sadly. Palace fans were quite classy. A lot of them stayed behind and clapped the stoke players, appreciated that. They're a nice bunch, the Palace fans. I'm having a less than optimum one. I so wanted them to make it.